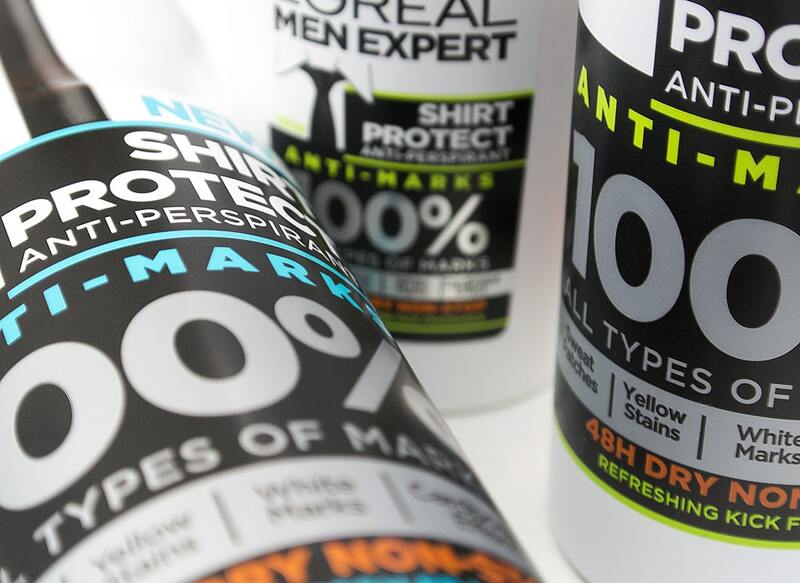 L’Oréal have joined the invisible-deodorant game with L’Oréal Men Expert Shirt Protect Deodorant, a fantastic duo of spray and rollerball deodorants. You may have recently read about my love of the Nivea Men Invisible For Black & White Deodorant, a great deodorant that doesn’t leave white marks on my darks and yellow marks on my whites; well I have to say, it’s hard to decide between two fantastic products. The smell of L’Oréal Men Expert Shirt Protect Deodorant is slightly lighter and sweeter but it still retains that classically masculine edge. The two are very long lasting and have seen me through the few weeks of extreme heat we’ve had here in the UK. The concept of the product is all about protecting your white work shirt, that can often visible suffer from the stresses and strains of business and living. Technology – L’Oréal loves their technology so have chosen to include a whole host of it. Anti Sweat Patch Technology absorbs sweat using “ultra-absorbant active micro captors” to help shield your shirt from marks. Anti-Yellow Stain Technology helps prevent the yellowing of white fabrics that can occur over time from long-term deodorant use. Finally Anti-Cardboard Effect Technology helps to prevent fabric under the arms from becoming stiff over time from constant washing, ironing, sweating and deodorant use. Out of the rollerball and the spray, it has to be the spray. I find the spray lasts longer, dries quicker and is just that bit more convenient. The rollerball is good, don’t get me wrong, but I’m more of a deodorant spray kind of guy. The products are available everywhere, from your local pharmacy to your supermarket. If you see them, pick one up and give it a try, I think you’ll be pleasantly surprised. This article first appeared on MANFACE written by Thom Watson. It was published on Sunday 28th July 2013 and was last updated on Monday 3rd April 2017 at 3:33pm. It's categorised under Body, Deodorant, L'Oréal where you'll find more related content. Hi, I have a question for my husband. The past few months we have been battling yellowing stains on his shirt collar only. Not under his arms at all. Do you think this spray or roller ball can be used effectively around his neck to prevent the yellowing? The only way I can get out the stains once they appear is to spray them first with a degreaser (let soak for about 15 min), then scrub baking soda mixed with white vinegar (let soak for about 10 min), then put in the wash. So, you can imagine how happy I’d be if this product would work for his collar. If the staining is caused by sweating from the neck then this should definitely help, or the Nivea Invisible deodorant. Let me know how he gets on.